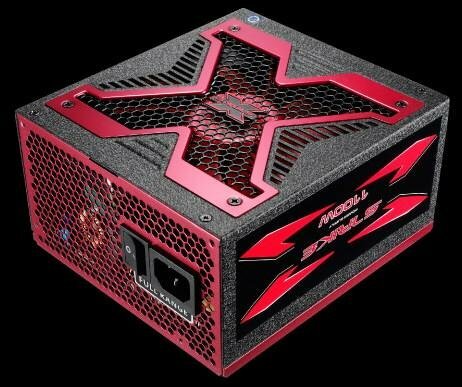 Next month Aerocool will supply its Strike-X power supply series, a new line of modular PSUs with a 140mm fan and an aluminium frame. Wattages range from 500W to 1100W, and 80Plus ratings from Bronze to Gold. The Strike-X power supplies comply with the ATX 12V 2.3 and EPS 12V 2.92 standards and feature an aluminum frame, a 13.9cm PWM fan, active PFC (Power Factor Correction), a MTBF of over 120,000 hours, a single 12V rail, and over current, over voltage, over wattage, over temperature and short-circuit protection.